I just want to take a minute to post a quick freebie. I've had this one in my store for awhile but I haven't done a blog post about it. I just updated it so I figured there is no time like the present. 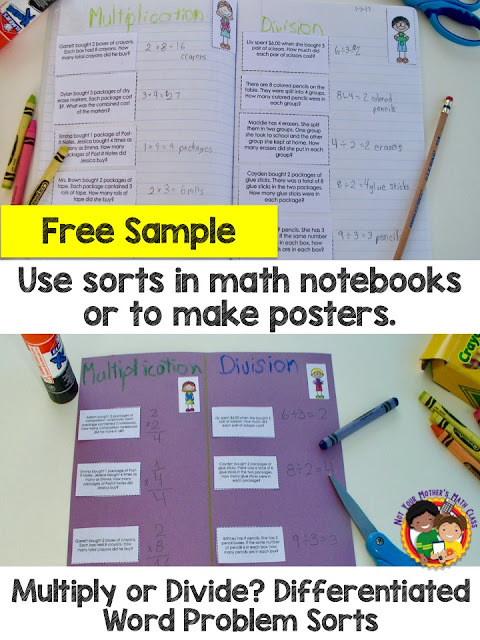 In a recent post I mentioned that I love to use sorts in math class. 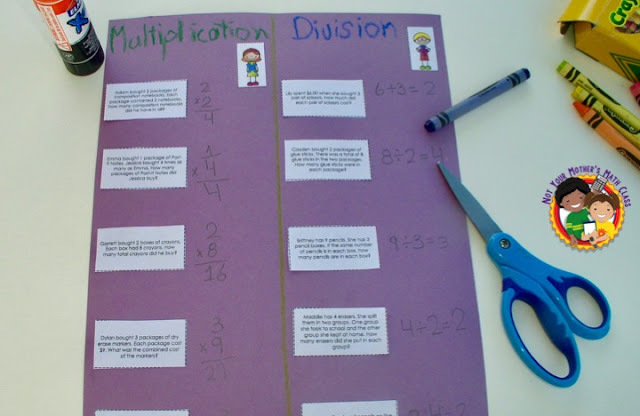 I developed these multiplication and division word problem sorts to help my students that were struggling with solving word problems. Remember, it is important to practice lots of multi-step word problems too. I find these single-step problem sorts help prepare my students for more complicated multi-step problems. You can use them in math notebooks. 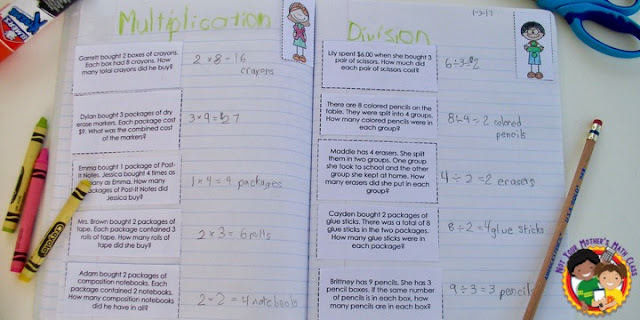 Notebooks are great to keep a record of work that students can refer back to. It keeps there work in one place so it is not lost. At the end of a grading period or unit it can be fun to have students look back to see all the hard work they accomplished. Or you can use them to make posters. Sometimes you need something to hang up! Either way they are a great activity to help students focus on choosing an operation. Cutting out and sorting the problems helps break up the monotony of using worksheets in your math class. I hope this freebie is useful to you. Don't forget to look at the other freebies I have posted on my freebies tab. It's time for a Teachers Pay Teachers sale! These sales are great because you get savings are site-wide. 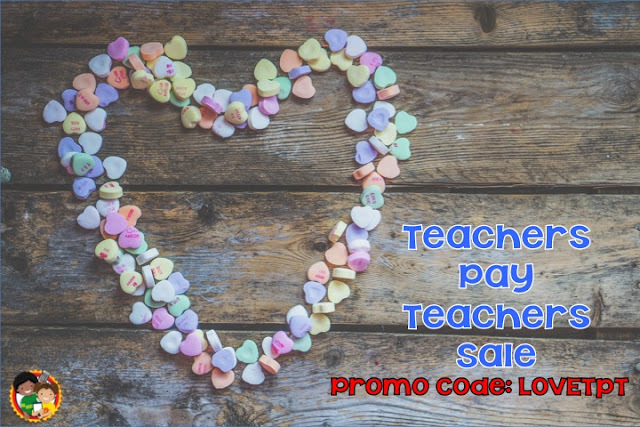 If you use the promo code - LOVETpT - you automatically get 10% off. If the stores you shop at are also throwing a sale you save up to 28%! Click here to start shopping or to get your wishlist ready. 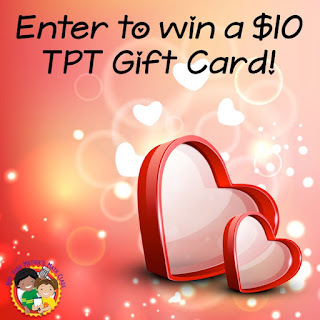 I'm also giving away a $10 gift card that you can apply to your purchases to save even more. Just go to yesterday's post to enter! 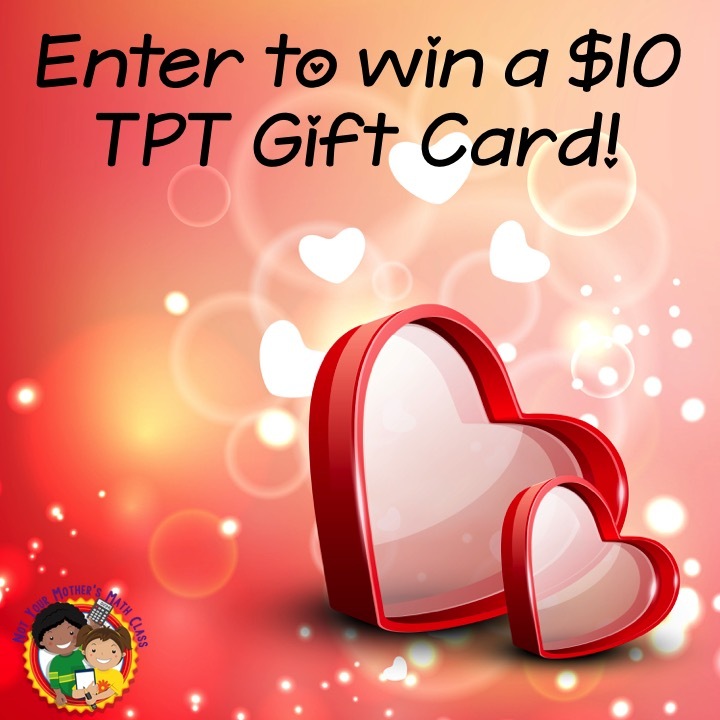 The winner will be announced on Wednesday February 8th in plenty of time to finish shopping.